INVESTORS.........Getting tired of a volatile stock market? 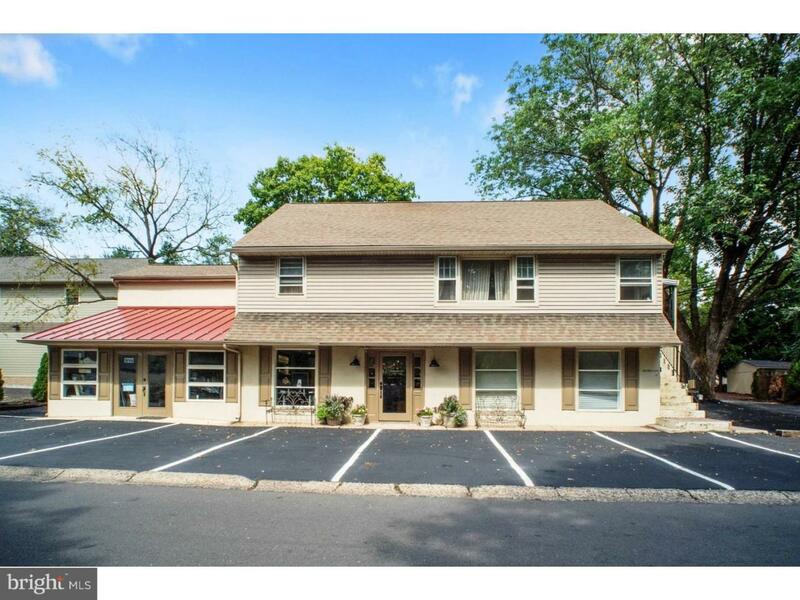 Here's a stable investment opportunity with a solid income stream, low investment risk, with upside appreciation value, located in desirable Doylestown Borough. It sits a half block off of South Main Street across from WAWA. It is fully leased to qualified tenants. There are four units. The first floor consists of two street level commercial/retail spaces. The second floor has a completely renovated large 2 bedroom apartment including a new kitchen (appliances, cabinets, granite countertops) and its own washer and dryer. The third floor houses a quaint studio apartment. The twelve dedicated parking spaces make it convenient for both residents and commercial usage.